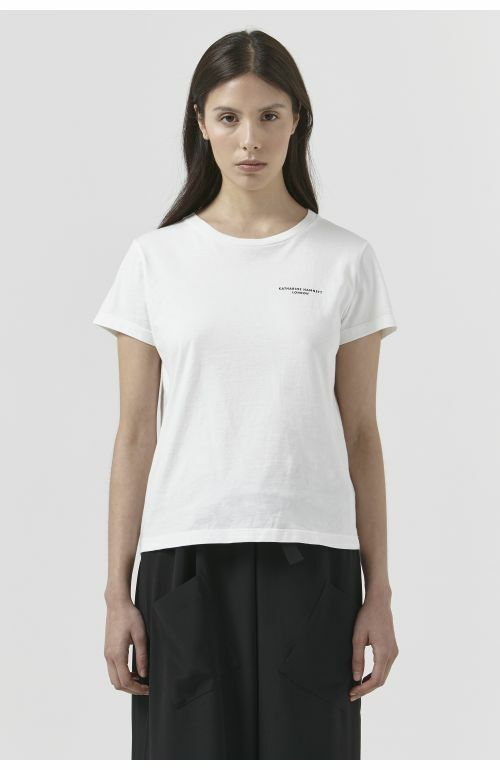 Katharine Hamnett London Katlin White Organic Cotton T-Shirt featuring scoop neck, short raglan sleeves, classic logo print on back neck. Made in 100% organic cotton. Made in Italy. The model is 5'9.5"/176.5 CM and is wearing size M. 100% supima organic cotton.